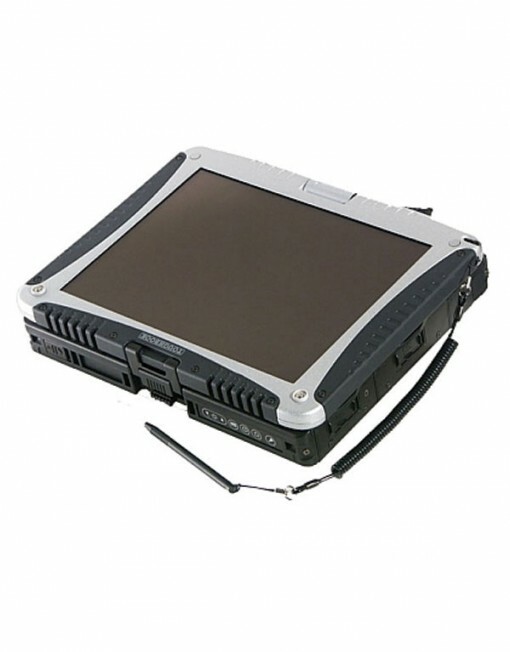 The Panasonic 10.4″ Toughbook is a convertible-style computer that can be used as either a classic fully-rugged laptop or the screen can be rotated and folded flat into a rugged tablet. SKU: PanasonicToughbook. 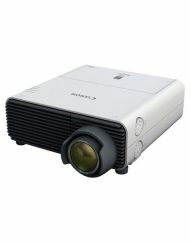 Categories: Playback, Props. 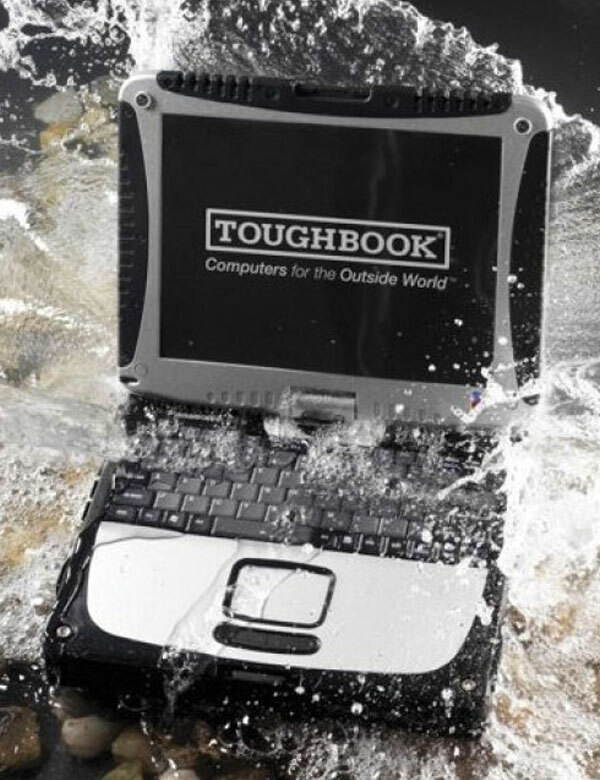 The Panasonic Toughbook is a convertible-style computer that can be used as either a classic fully-rugged laptop or the screen can be rotated and folded flat into a rugged tablet. 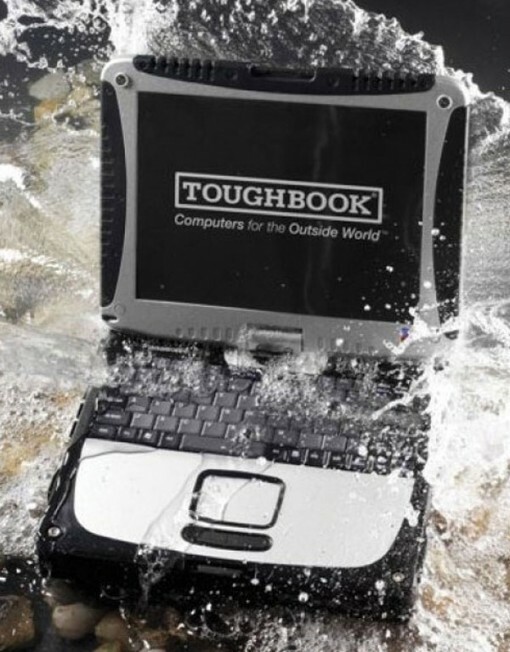 And the Panasonic Toughbook is built to last. 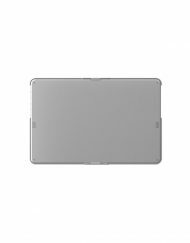 Encased in a Magnesium-alloy case, the Toughbook also includes sealed port covers making the both moisture and dust resistant while the hard drive is protected in a shock resistant enclosure. 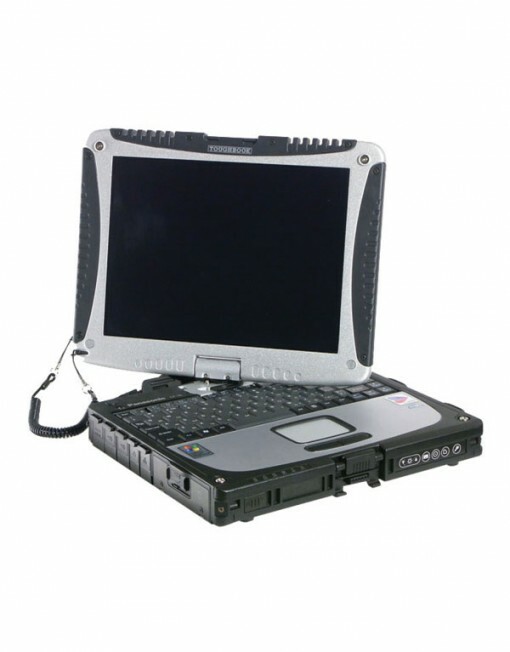 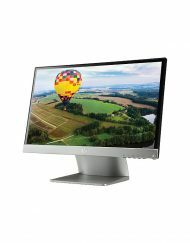 Base standard features of the Toughbook include an Intel Pentium 900MHz ULV CPU, 256MB of RAM, a 40GB hard drive, a 10.4-inch XGA display and 802.11b/g Wireless LAN.